Hey folks! Most of you know by now that I'm a big fan of cloth diapers and love trying out new ones. Being a small business owner myself, I also love being able to help promote other wahm and small businesses. 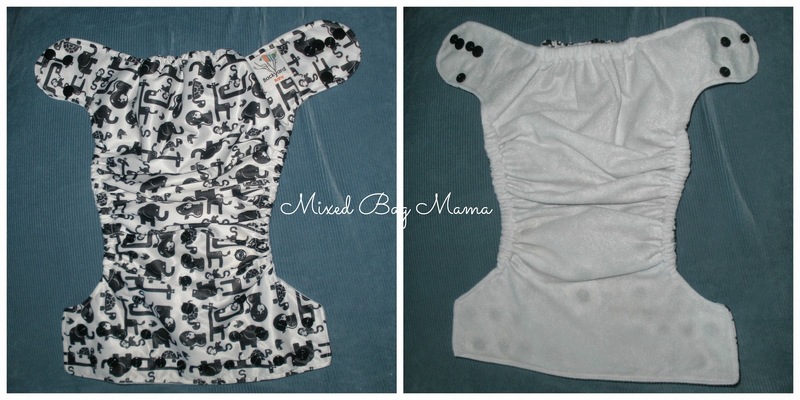 So, I was excited to recently have the opportunity to review a cloth diaper from Backyard Baby on Etsy! Let's start off with the good. First of all, she has super cute prints, which you can find more of on her Etsy storefront. We received this one with black wild animals on a white background to review. Cute for a girl or boy, right? I thought she had a pretty good selection of boy, girl, and gender neutral prints. 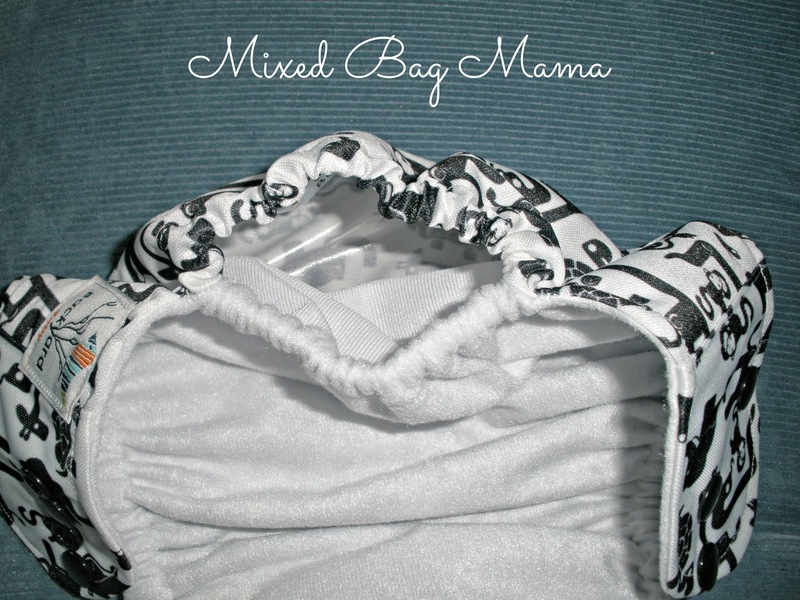 Let's face it: Cloth diapers can be a bit pricy when you're first getting started with them. Backyard Baby's prices are very reasonable, however, at around $15 a pop. You could buy two Backyard Baby diapers for the price of one in some brands! As far as functionality, I liked that it had extra hip snaps. I'm not used to having these on our other diapers, but I do feel like they help you get an even better fit on baby/toddler, especially if you have a "skinny" kid. I was worried that there might be leaks at the top for some reason if Myka slept on her stomach for a nap, even though the main diapers we use don't have any elastic at the top either. However, this hasn't been an issue so far as I did have her try this diaper out during naptime one day and she does usually sleep on her stomach. These diapers aren't as wide through the crotch as the ones we normally use and my daughter is still on the chunky side. For whatever reason, they just don't seem to work well with her. I thought maybe I wasn't getting the extra hip snap tight enough, causing the leg area to be too loose and cause leaks. However, I started double checking that and I don't think I could get it on any tighter without the leg gusset digging into her. The third and fourth time we got to tryout how well it held up to poo. Oh boy. :) It did do a good job of keeping the poo in. Myka's poos are pretty solid, though, so I can't personally say how well it would hold up to runny poop. I have to admit, I found these (being pocket diapers) easier to clean solid waste from than my pre-folds. The next time we tried it out during naptime, as I already mentioned, and we technically had no problems then. While it wasn't enough to get her pants wet, I noticed there was some wetness on the outside next to the leg gussets even though the inside was barely wet. 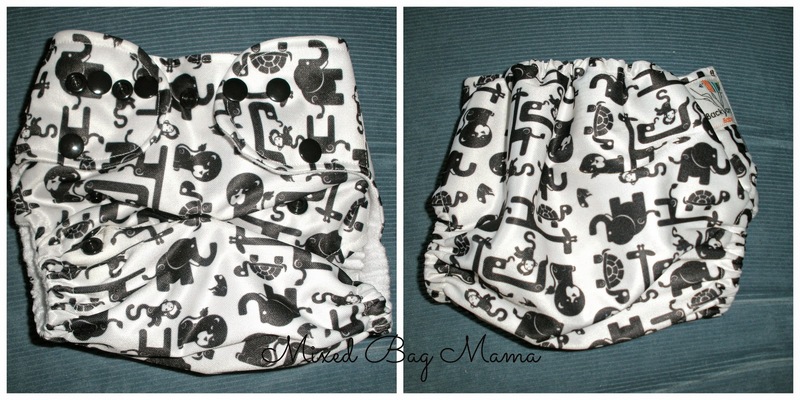 I hope I haven't scared you guys away from trying Backyard Baby's cloth diapers because that's really not my intention. Again, I hate having negative things to say, especially about a wahm business, but I am sharing with you my honest experience. Luckily, I think I may be a rare case judging by all of the positive reviews she has on her Etsy page! 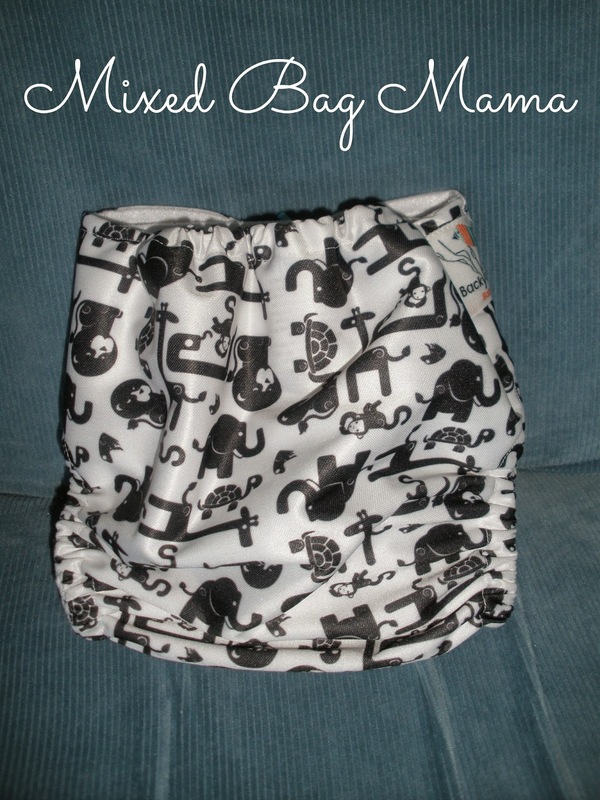 So, if you would like to try one of their diapers (or super cute training pants!) on your little one, be sure to click HERE to enter the $15 gift certificate giveaway! Stay up to date with Backyard Baby on Facebook. Mixed Bag Mama was not compensated monetarily for this review. I did receive a product in order to facilitate my review. All opinions are my own and may differ from your own.